Quang Tri province has always worked hard to accelerate reforms and carry out consistent policies and solutions to create a favorable business environment and form an equal competition playground, and remove barriers to facilitate businesses and investors when they carry out their projects. 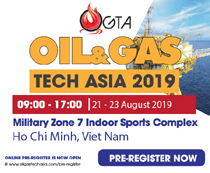 The Vietnam Business Forum has an interview with Mr. Nguyen Canh Hung, Deputy Director of Quang Tri Department of Planning and Investment, on this issue. Duy Binh reports. How do you assess investment attraction of Quang Tri in recent years as well as targets set for 2020? 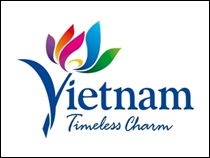 The economy is faced with numerous difficulties; however, with the high resolution for a better investment and business climate with groundbreaking solutions to support and encourage enterprise development, Quang Tri province has helped the business community to approach new development ways and new development opportunities. Therefore, the local business community has obtained many important achievements. The number of new business startups and their registered investment value have been on the rise. That growth has helped the economy form a bigger business force that generates more jobs, contributes more to the State budget and engages more social resources in their production and business activities. In 2018, the province licensed 49 projects with a combined registered capital of VND6,956 billion, including 10 projects with VND1,979 billion in economic and industrial parks. Typical big projects include Ischool Quang Tri International Integration School, Huong Hiep 1 Wind Power Plant, LIG Solar Power Plant, FAM - Quang Tri High-tech Agricultural Application Area, Mien Trung Trade Center, AE - Cua Tung Resort, Huong Son Hydropower Plant, and Southern Cua Viet Harbor Area. Also in the year, investors deployed 28 projects with nearly VND2,900 billion, including 20 new projects with over VND700 billion licensed in 2018. To date, 110 projects have been registered to be located in economic and industrial zones with a total investment capital of VND8,782 billion. Among them, 74 projects are operational, 30 projects are under construction and six projects are licensed to build factories. At the same time, the province terminated operations and revoked the investment license of one project in Nam Dong Ha Industrial Park and two commercial business plans in Lao Bao Special Economic - Commercial Area. In the year, two official development assistance (ODA) projects worth VND1,400 billion were signed. In the coming time, the province expects to carry out fund withdrawal for the US$11.42 million Second Greater Mekong Subregion (GMS) Tourism Infrastructure for Inclusive Growth Project funded by the Asian Development Bank (ADB). So far, Quang Tri province has 23 ongoing ODA projects with a total fund of VND1,293.501 billion, including VND210.582 billion of counterpart fund and VND1,080.919 billion of foreign loan. By the end of 2018, ODA projects are estimated to disburse more than 80% of the value approved for the year by competent authorities. Currently, the province has 14 valid FDI projects with a total registered value of US$46.65 million, which employ 1,423 workers and pay US$800,000 to the State Budget. Quang Tri has mobilized 23 non-governmental aids of US$12.16 million. “Actively building regional connectivity and deepening integration with other provinces in the region for socioeconomic development” in the spirit of the Resolution of the 16th Provincial Party Congress (2015 - 2020 term), how will the province substantively and effectively renovate these activities? First, actively promoting domestic and foreign investment, actively approaching big investors, introducing local potential and strengths on reputable media and information channels. The province is accelerating foreign relations and cooperation with many countries in the world in order to attract resources for delivering the goal of becoming a fairly developed province in the country by 2020 and raise its Provincial Competitiveness Index (PCI) to the group of good localities in 2018 and beyond. Second, reviewing and adjusting provincial and district socioeconomic development plans. Quang Tri province has been approved by the Prime Minister to revise its socioeconomic development master plan to 2030, with a vision to 2050. In addition, it has publicized plans and revised incentive policy to attract many big investors. Third, fully and consistently carrying out reforms stipulated in the Law on Enterprises and the Law on Investment to bring procedures to one place. The province has coordinated with departments and agencies to reduce the time and expenses for enterprises in settling procedures. Fourth, strongly changing personnel affairs, building qualified, responsible, dedicated, hard-working, innovative and dynamic staffs, especially heads of important sectors and fields; looking to build a pro-business government; strengthening dialogues with businesses. Fifth, leading the Government-backed administrative reform program and the civil service regime reform; reviewing, simplifying and publicizing administrative procedures across all sectors and fields, with the focus placed on land-use right certificates, taxes and policies. Sixth, developing human resources, especially vocational training; promoting high-quality human resource training; developing the labor market to meet recruitment demands of enterprises. In the immediate future, the province will concentrate on building and implementing the scheme on raising foreign language proficiency for managers and workers to meet international economic integration requirements. 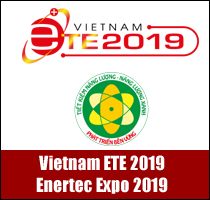 Given limited resources, to avoid spreading investment resources and promoting competitive advantages in investment attraction, what fields and areas will Quang Tri province focus on for 2019 - 2020? Located in the center of the northern central region, Quang Tri province has an important political, economic and geographical position. The province lies on the intersection point of the North - South and East - West economic axes and has favorable ground, railway and waterway traffic conditions, including national arterial roads. 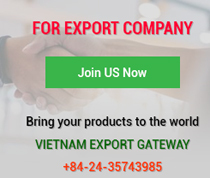 In particular, the province rests on the East - West Economic Corridor, the shortest trans-Asia route connecting Myanmar, Thailand and Laos through Lao Bao International Border Gate to central Vietnam and accessing the ASEAN region. The province will focus on calling large-scale projects using advanced technologies that produce ripple effects in the province like wind power, solar power, wood processing, sand processing, tourism and high-tech agriculture. Quang Tri will particularly attract investment funds into Dong Nam Economic Zone and Lao Bao Special Economic - Commercial Area to exploit potential and strength of the East - West Economic Corridor. It will restrict small investment projects that require large land areas and cause environmental pollution; strengthen investment promotion, improve policies and mechanisms, enhance provincial competitiveness, and better the business and investment environment for enterprises. In 2017, the Provincial Competitiveness Index (PCI) of Quang Tri rose by 1.63 points but its ranking fell 11 places to 54th from 43rd, belonging to a group of poor performers. This shows that the province’s efforts still seem to be insufficient. How do you regard this issue? Quang Tri province has made great efforts to raise its Provincial Competitiveness Index. Nevertheless, in 2017, its PCI rankings dropped 11 places from a year earlier to 54th out of 63 provinces and cities. 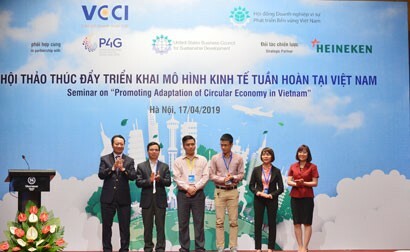 Among 10 PCI component indexes, Quang Tri province saw six indices lower than in 2016, including market entry, time cost, fair competition, access to land, legal institutions and informal charge. In fact, Quang Tri province’s PCI improvement is still slow. However, there are bright points in improving the local investment and business environment, including shorter time for business registration, more transparent business environment, and better business support services. 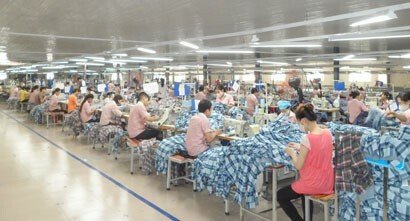 But, Quang Tri province-based enterprises expected a reduction in unofficial charges in handling administrative procedures, an easier access to land, a focused reform in business registration, a reduction in inspection burdens, a fair business climate, and higher management quality for enterprises. The province will provide the most favorable conditions for businesses and investors to carry out their investment projects to raise the quality of business environment because this is vital to improve its PCI. 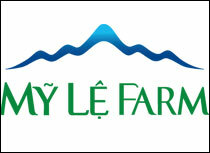 In the coming time, Quang Tri needs to find suitable solutions. First and foremost, the province must recognize and seriously assess existing shortcomings and limitations in investment attraction; and focus on reviewing and analyzing PCI component indicators to find out causes for the ranking drop to seek specific solutions. 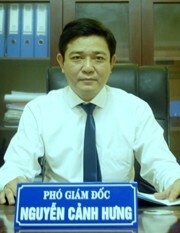 The province will accelerate administrative procedure reforms, effectively carry out single-window regime, conduct reviews to remove unnecessary processes and procedures, enhance information technology application, apply ISO quality management system at administrative agencies, reduce inspections, and shorten the time for registration and adjustment of investment certificates. The province will raise the responsibility and awareness in public employees, enhance moral education and decent attitude and strengthen public inspection to strictly handle individuals and agencies that prolong the time for settling records and harass businesses and people. Informal charge is a sensitive indicator. In order to improve this index, firstly, it is necessary to publicize guidelines, policies and administrative procedures to make it easier for businesses and investors to receive and understand it thoroughly. On the other hand, it is necessary to have a consistent and resolute solution for authorities and the social community to boldly denounce and severely handle individuals who manifest their interests and trouble citizens and enterprises. There is a need for a mechanism to check and supervise procedural settlement performed by relevant bodies and impose public reward and punishment. Regarding the access to land index, the province must first of all have consensus in land management to strictly manage land and prevent waste in the use of land resources, facilitate people and businesses to carry out land administrative procedures, publicize resettlement planning, ensure benefits for people and organizations who have their land reclaimed by authorities, shorten the time of land allocation for investors; strengthen rational land-use planning and management to attract feasible investment projects; urgently and actively compensate land clearance to ensure the progress of investment projects and protect the environment. Being a poor province and having limited support from the central government, Quang Tri province needs to actively mobilize official development assistance (ODA) resources for transport and infrastructure construction investment. Besides, the province needs to proactively organize regular business - government dialogues, create the opportunity for businesses and investors to contact and discuss their hardships and seek solutions together.